Despite all the advances in technology, Mother Nature remains our most skilled engineer. 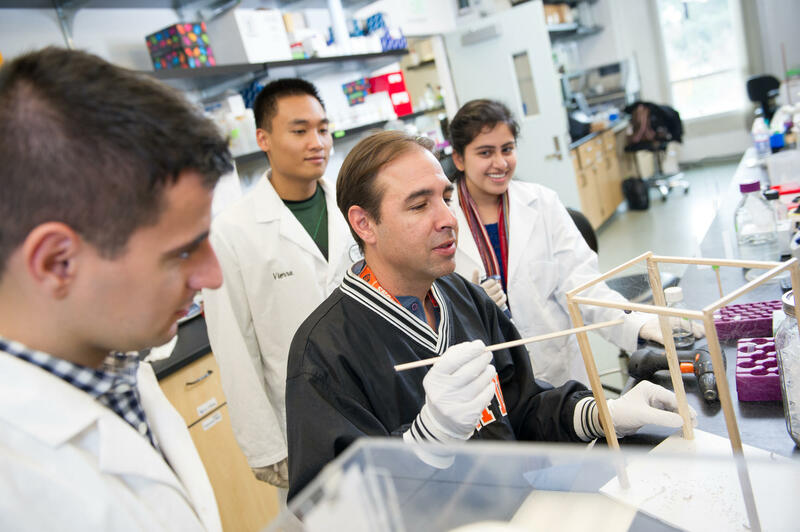 Dr. Craig Vierra, professor and assistant chair of the University of the Pacific's College of Biological Sciences, is working on a way to replicate spider silk. 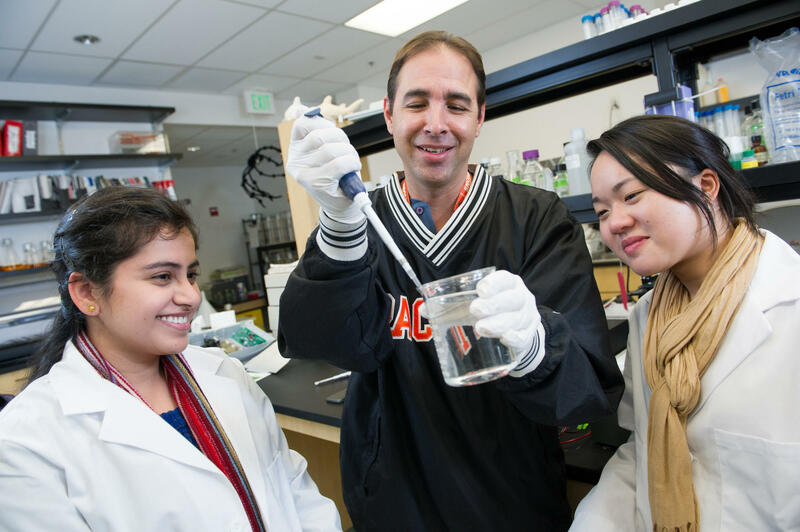 Dr. Craig Vierra is a professor and assistant chair in the University of the Pacific's College of Biological Sciences. 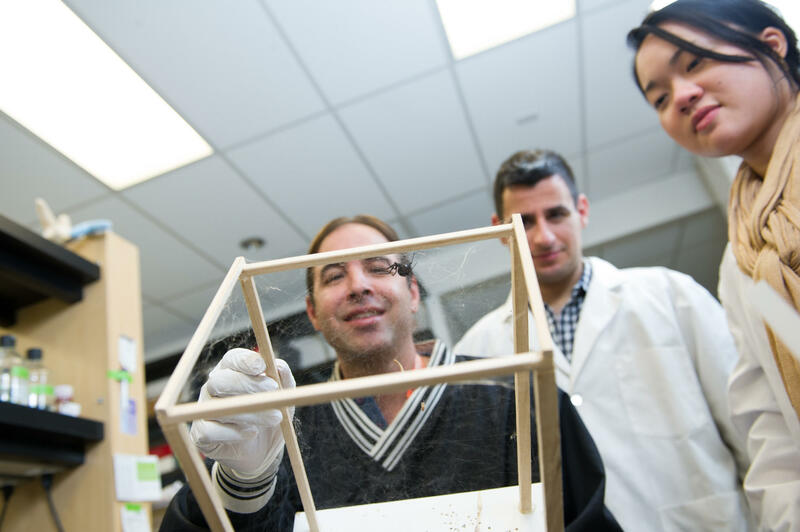 His research centers on understanding the molecular mechanics of black widow spider silk and how these properties relate to the fibers high tensile strength, elasticity, and toughness. He's written extensively on the subject and his goal is to produce fibers for industrial applications that mimic natural silk. He earned his PhD in biochemistry from the University of California Riverside in 1994. The next time you roll up a magazine to swat a spider, stop, or risk interrupting hundreds of millions of years in the development of a material that will revolutionize engineering in our lifetime. The effort to provide an environmentally sound, cost-effective, lightweight and exceedingly strong material to build a broad range of products has been under development for hundreds of millions of years – by spiders. Species such as the black widow use six or seven different spider silk fibers to capture prey, move about, protect their young, and more simply to survive. That same spider silk is two to three times tougher than materials man uses now for such things as body armor for soldiers. It’s lighter, too, and it is biodegradable over time, making it ideally suited for the environment. It’s not surprising, then, that the race is on at laboratories around the world to be the first to crack the code of spider silk and replicate it in mass quantities. In my lab at University of the Pacific, my students and I are at work figuring out how to produce large amounts of the spiders’ proteins in a cost-effective way, spin the synthetic fiber in such a way as to trap the water molecules inside that are critical to the fiber’s mechanical properties, and integrate those fibers into materials, perhaps as composites. Then we can make everything from stronger, lighter replacements for Kevlar in body armor and plastics in automobiles to stronger, lighter aerospace components. The possibilities are boundless. We are standing on the precipice of truly revolutionary work. In the next five years, we should see the next major step in the development of strong, lightweight material that spiders have been developing for hundreds of millions of year. It will be interesting to see what we come up with. What can we extrapolate from the cries of a baby? Dr. Neil Johnson, professor of physics at the University of Miami, studied the patterns of children's cries and used that information to make some interesting conclusions. Dr. Neil Johnson is a professor of physics at the University of Miami. He has published over 200 articles in a wide range of international publications and currently is the associate editor for the Journal of Economic Interaction and Coordination. As a Kennedy scholar, he earned his PhD from Harvard University. The complexity of human culture is highly nuanced. Dr. Daniel Nettle, professor of behavioral sciences at Newcastle University, observed striking cultural differences even in people living geographically close to one another. Dr. Daniel Nettle is a professor of behavioral science at Newcastle University's Centre for Behavior and Evolution. His research focuses on evolution, development, and psychological underpinnings of behavior. He received a PhD in biological anthropology from University College London in 1996. Dr. Veronica Davidov, assistant professor of anthropology at Monmouth University, observes the interesting symbiosis these two unrelated fields can sometimes have.